Did you think I would get sick of margaritas and tacos after my trip to Mexico? NEVER! Honestly, as a result of my trip, it’s all I want to eat and drink! 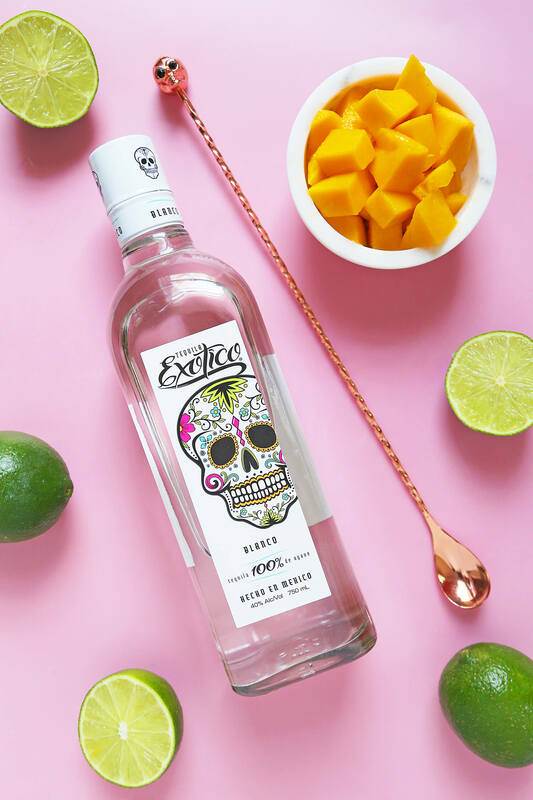 I’m so happy to be teaming up with Exotico Tequila for this next post. 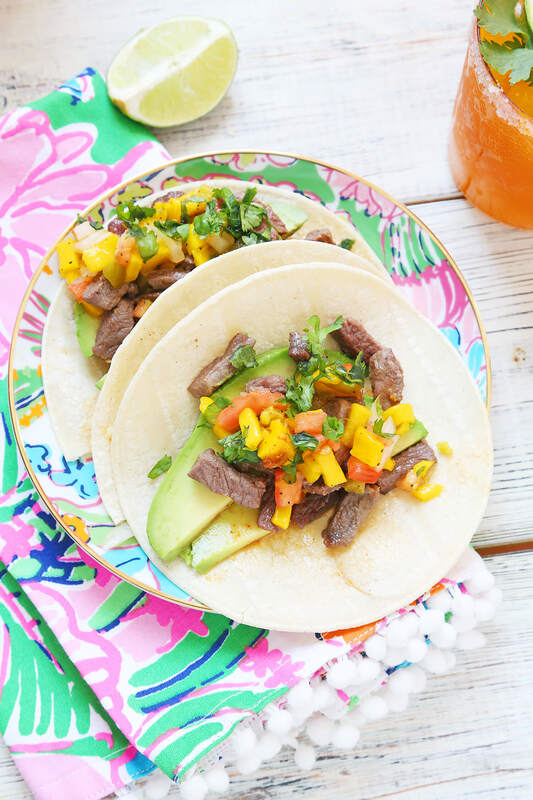 I’m sharing recipes for my Mango Kombucha Margarita + Bistec Mango Tacos. 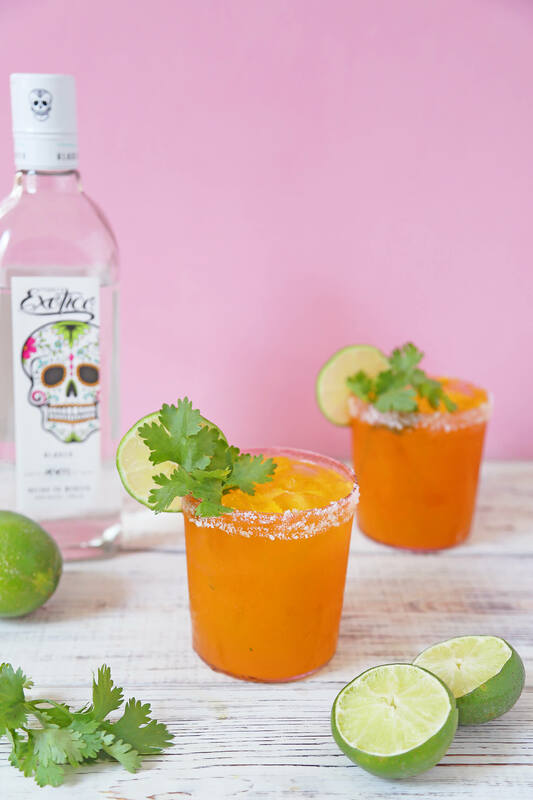 After all, what is a margarita without a taco? It’s certainly my favorite cocktail and food pairing in this whole wide world! 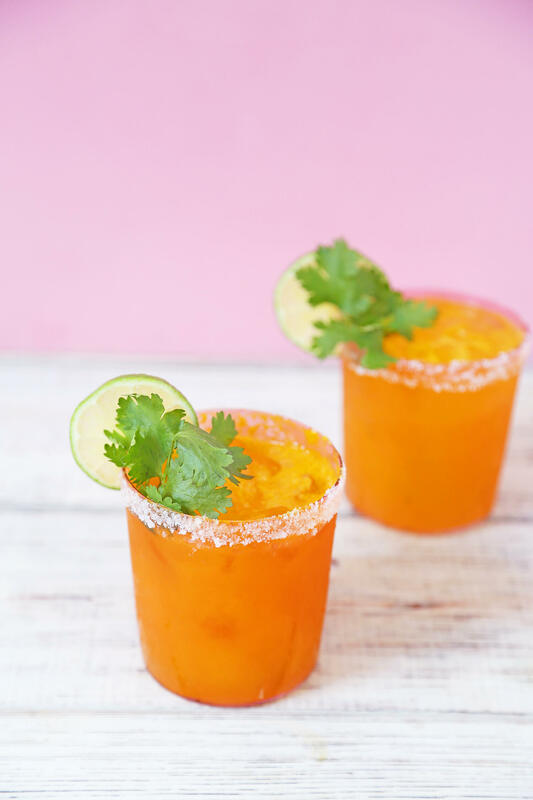 First, add mango, lime juice, and agave to your cocktail shaker and then muddle. Fill your cocktail shaker with ice, shake, and strain into a salt-rimmed glass. Finally, top with mango kombucha and garnish with a lime wheel and cilantro. Slice the steak into 1-inch strips and then cook in a pan with olive oil and salt. To make the tequila cayenne sauce combine all ingredients in a saucepan and heat until slightly boiling. 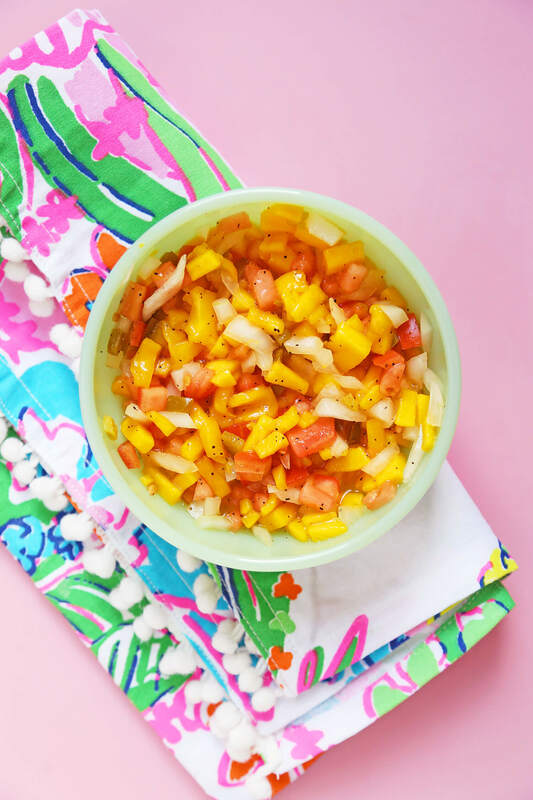 Then prepare the mango salsa by chopping mango, onion, and tomato. Next, put your chopped ingredients in a bowl, then add remaining ingredients and toss. 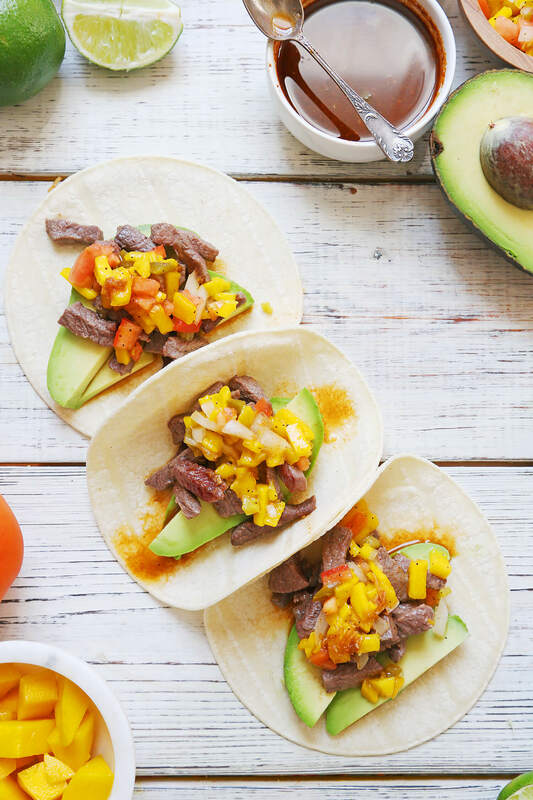 Finally to assemble tacos place your steak in a corn tortilla, drizzle with tequila cayenne sauce, top with mango salsa and a sprinkle of cilantro. 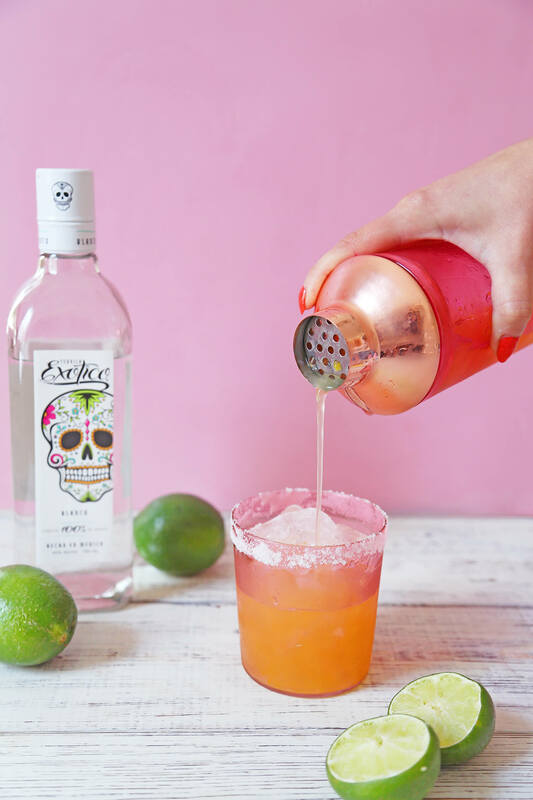 Exotico Tequila is handcrafted with tradition by the Gonzalez Distillery which is a family distillery spanning three generations and one of Mexico’s most respected makers of tequila. The tequila is made from 100% Blue Weber agave grown in the Highlands of Jalisco. The red clay soil in Jalisco produces a larger, sweeter agave heart thus gives Exotico its floral, well-rounded taste. 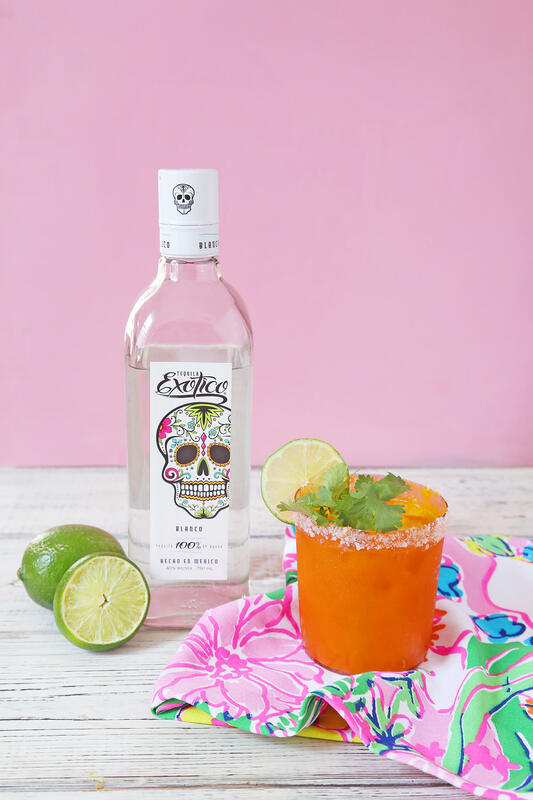 The Exotico Blanco has notes of roasted agave and pepper which make it delightful to sip on its own but also perfect for mixing in drinks like the margarita! 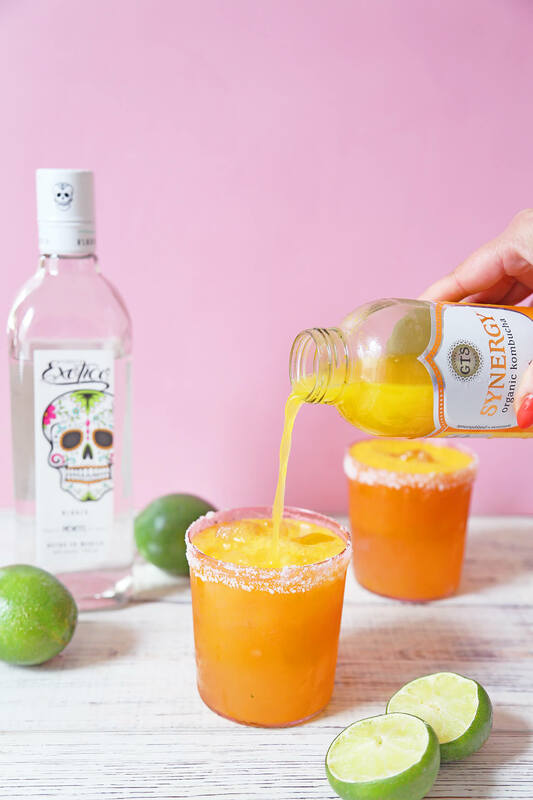 I was inspired by a Tommy’s Margarita (tequila, lime, agave) when developing this Mango Kombucha Margarita. A few months back I made Kombucha Sangria on A Beautiful Mess and instantly fell in love with this ingredient in cocktails. It adds flavor, tang, and effervescence to drinks that yields such flavorful and interesting results. Once I knew what margarita I wanted to make, I based my taco recipe around it using similar ingredients. 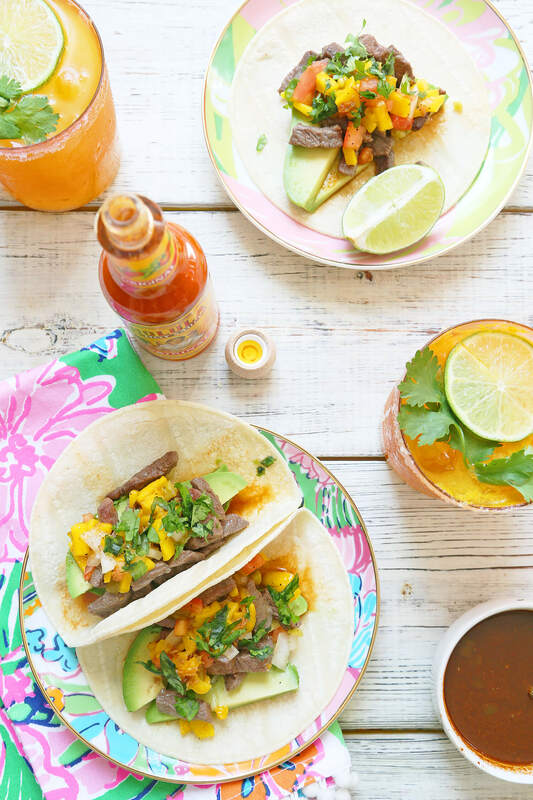 I hope you will try my Mango Kombucha Margarita + Mango Bistec Tacos this Summer! They go absolutely perfect together and not to mention, are a winning combination. 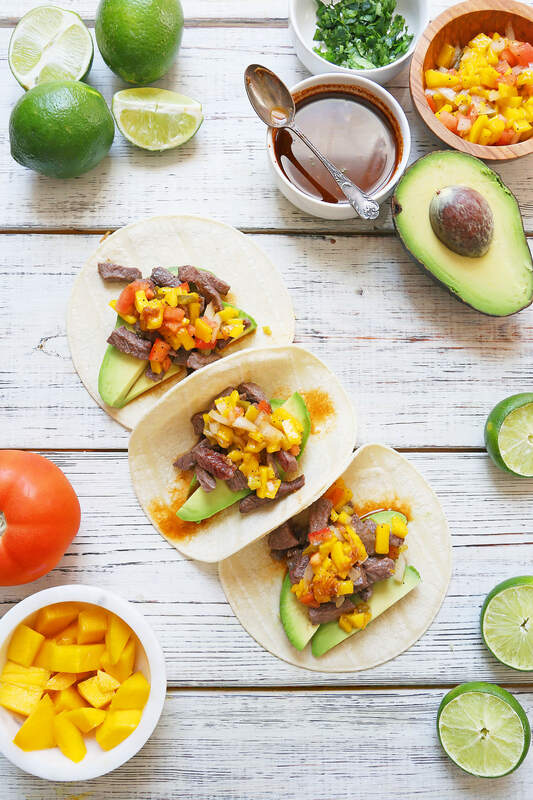 I love that both the margarita and tacos are savory but are also sweet and summery from using fresh mango. 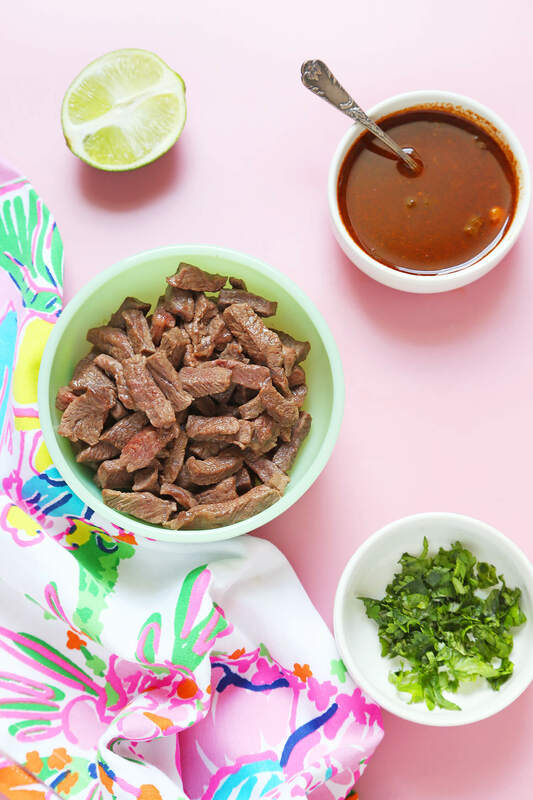 I think planning a taco night is in order!